Want to take a roadtrip through Morocco but don’t know where to start? This is the article for you! 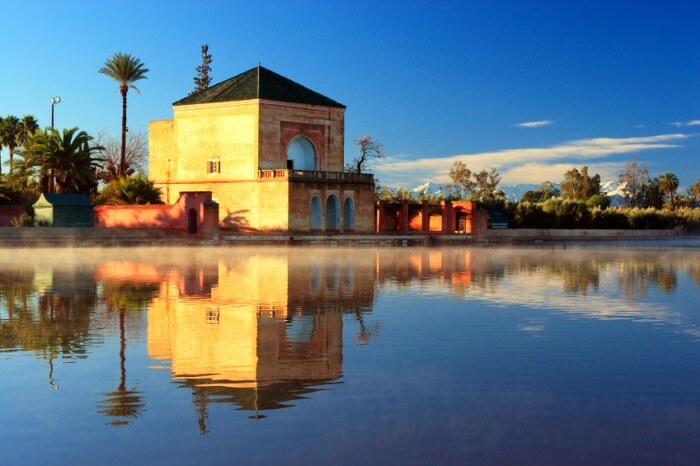 The itinerary below will help you discover this beautiful North African country. When you arrive at Casablanca’s Mohammed V International Airport, you’ll find one of our agents waiting for you with the car you booked from Abid Cars website. From the airport, drive toward the Hassan II Mosque, which absolutely should not be missed. This mosque has the highest minaret and is the third largest mosque in the world, with capacity for 25,000 worshippers at once. 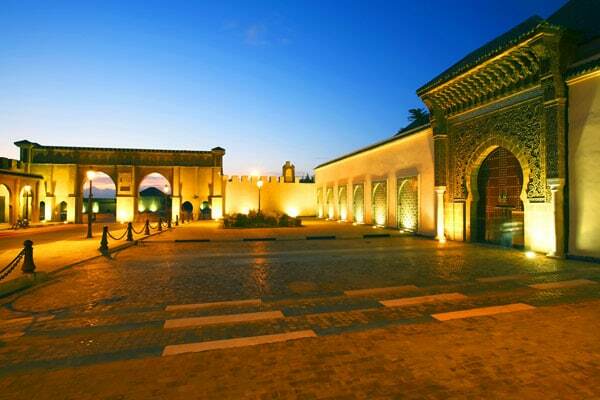 Get back behind the wheel and head 90 kilometers north to Rabat, the capital of Morocco. 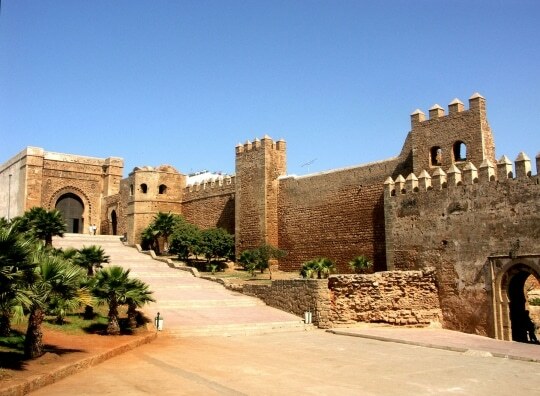 Visit some of Rabat’s major attractions, including the impressive Chellah, a Roman necropolis and complex of ancient and medieval ruins; the royal palace; the Hassan Tower and the Mausoleum of King Mohammed V; the casbah of the Oudayas; and the shops of the old medina. Continue your roadtrip toward the imperial city of Meknes, known as the Versailles of Morocco because of its impressive buildings and monuments. Bab Mansour, the mausoleum of the sultan, the royal palace, the Agdal Basin, and the Dar el Jamaï palace are places worth visiting in Meknes. Have lunch in one of the traditional restaurants in the medina and then visit the incredible Roman ruins of Volubilis, a UNESCO World Heritage Site dating from the 3rd century B.C.E. 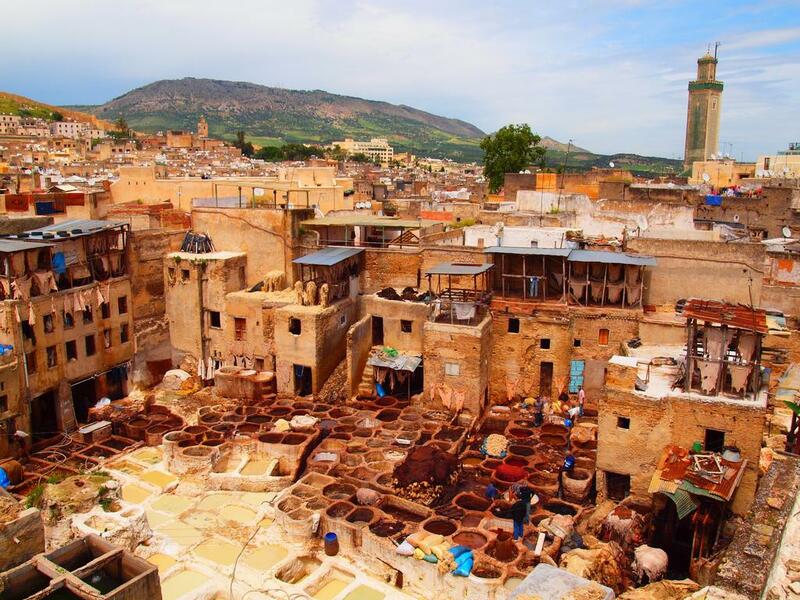 Fez is the oldest and largest medieval city in the world and its medina is a cacophony of sights, sounds, and smells. Start with a visit to Fez el Bali – the old fortified city. This fascinating medina is a veritable labyrinth of 9400 alleyways that often come to a dead end. Be sure to visit the tanneries, viewable from the terraces of surrounding leatherwork shops. Don’t forget to grab some mint to hold under your nose – the smell can certainly be powerful. Pass by the Quarawiyyin, the first university in the world. Fez is also a capital of gastronomy, so why not spend a proper Moroccan evening with traditional food – and often music – in one of the city’s many restaurants? 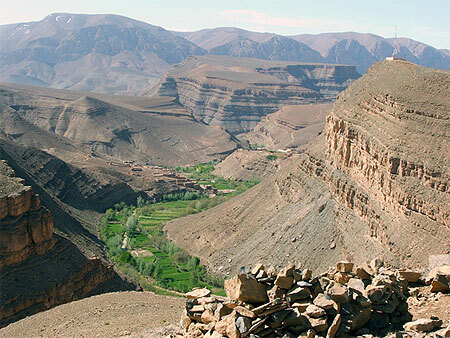 After leaving Fez, drive up into the Middle Atlas Mountains. Along the way the countryside becomes more and more alpine. 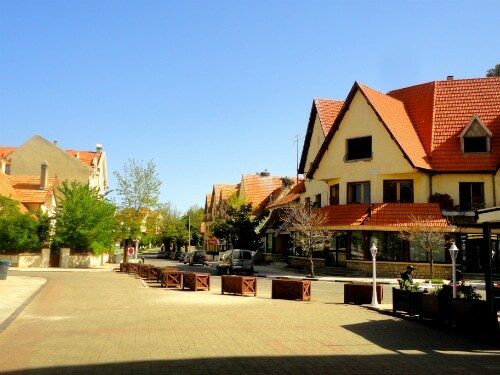 You’ll pass through Ifrane, a magnificent little city often compared to the Swiss Alps. Pay attention to the curious Barbary apes you’ll see along the way through the cedar forest to Midelt, the “apple capital,” where you can stroll through the local orchards. 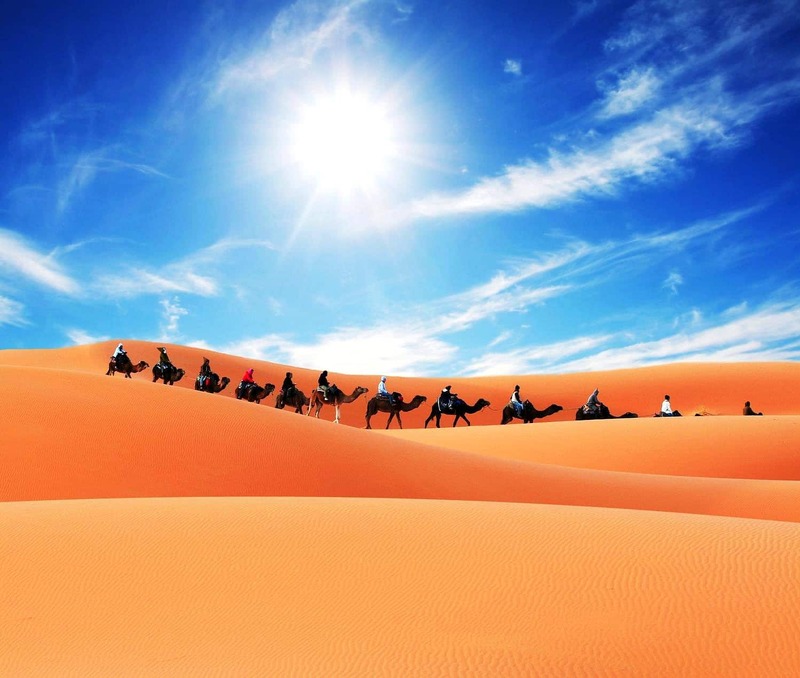 Heading south, you’ll benefit from a beautiful scenic route toward the Sahara. Have lunch and a bit of a walk through the desert city of Merzouga. before mounting your camels for an incredible trek through the Sahara. You’ll witness a spectacular sunset and spend the night in a Berber encampment nestled in the middle of the imposing Erg Chebbi dunes. Local food and music will contribute to an incredible night of camping in the desert. Be prepared to wake up early for an amazing sunrise view from your camel’s back. After breakfast in Merzouga, get back on the road toward Todra and Dades. The gorges of Todra are surrounded by high limestone cliffs attaining heights of 300 meters and are known as Morocco’s Grand Canyon. On the road to Marrakesh, make a stop in Ouarzazate, the Hollywood of North Africa! 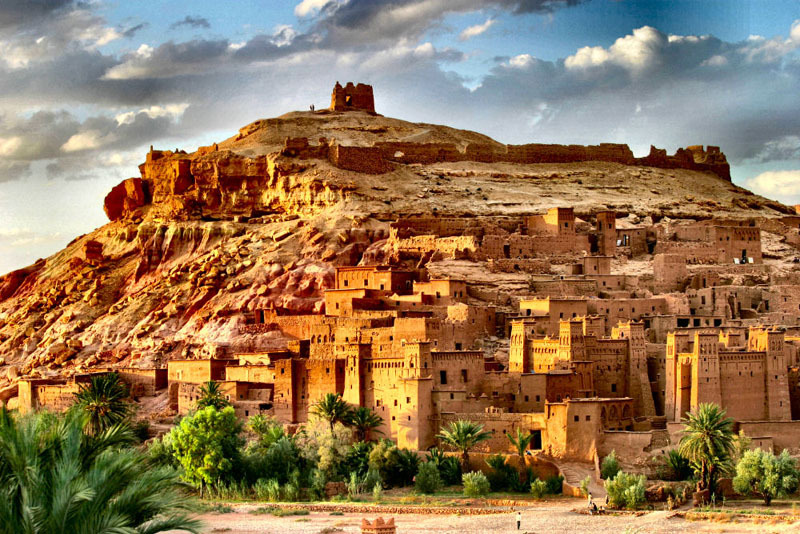 Continue to Ait Benhaddou, an ancient fortified casbah built on a hillside. The incredibly well-preserved medieval city appears in numerous beloved films, such as Gladiator and Lawrence of Arabia. Drive onward to Marrakesh, Morocco’s fourth imperial city. Inside the red walls of the medina is a tangle of narrow winding streets that spill out into green gardens and lively souks. Voila! 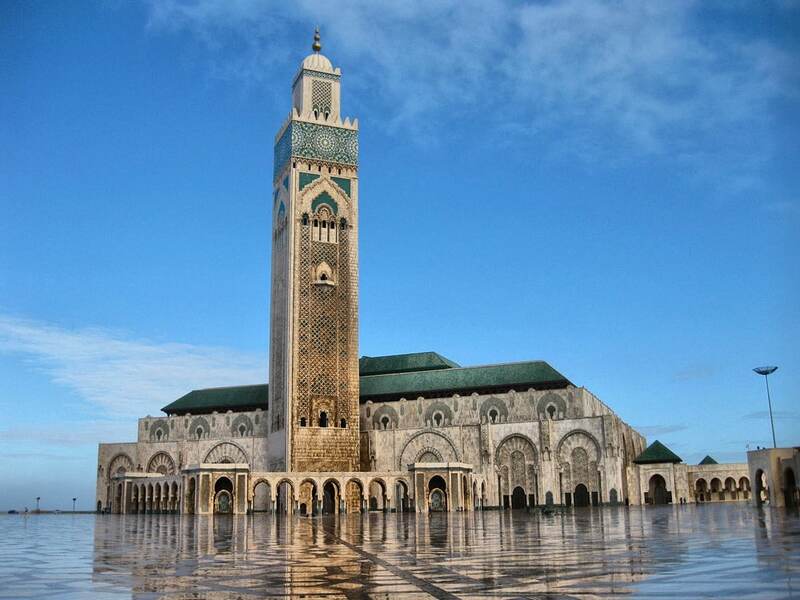 Following this itinerary, you will gain a general idea of Morocco’s culture, from cities to countryside. The next time you come back to Morocco, be sure to visit some places you missed this time around, like Tangier, Tetouan, and Chefchaouen in the north, and Essaouira, Agadir, and Tiznit along the southern coast. Book a car with Abid Cars and enjoy your Moroccan adventure!